Personally, it can be quite tough pulling all these threads together to figure out the best way to spend my summer holiday budget for my gaggle of 3 children and frequently I fall back on my friendly network of other mums for recommendations. Word of mouth is an extremely powerful way for mums to pass along a recommendation to friends and for Mention Me’s clients, who use our patent-pending name sharing technology, it is almost always in the top 3 most effective sharing methods. A big thank you to Hugh at In The Night Garden Live who helped us put together some of the info in this post. 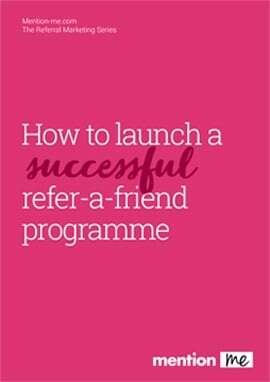 Learn more about how your business could benefit from referral marketing, get in touch today at hello@mention-me.com.